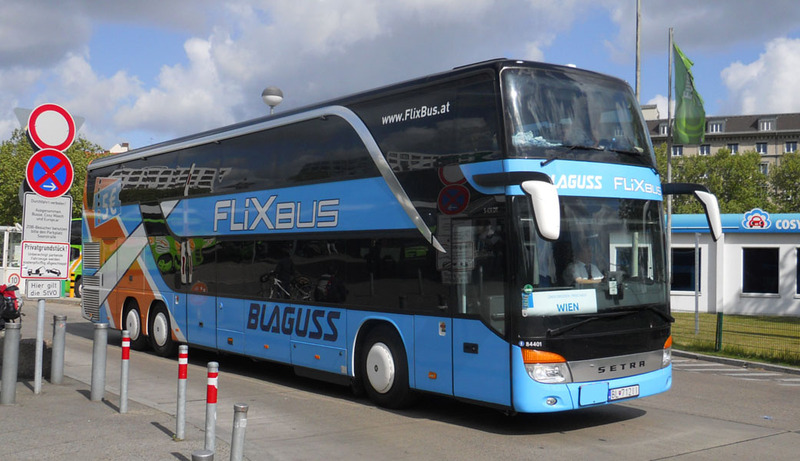 The liberalisation of the German coach market in 2013 created opportunities for operators to establish new services. 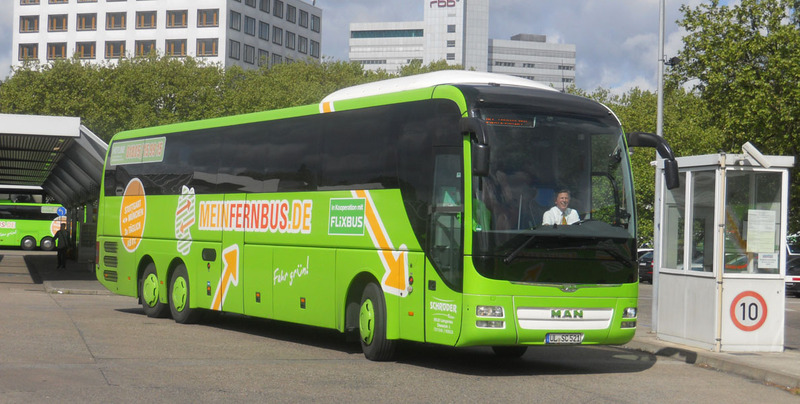 Meinfernbus/Flixbus may be the market leader but there are many others ready to face the challenge and Berlin ZOB coach station is the place to see all of them. 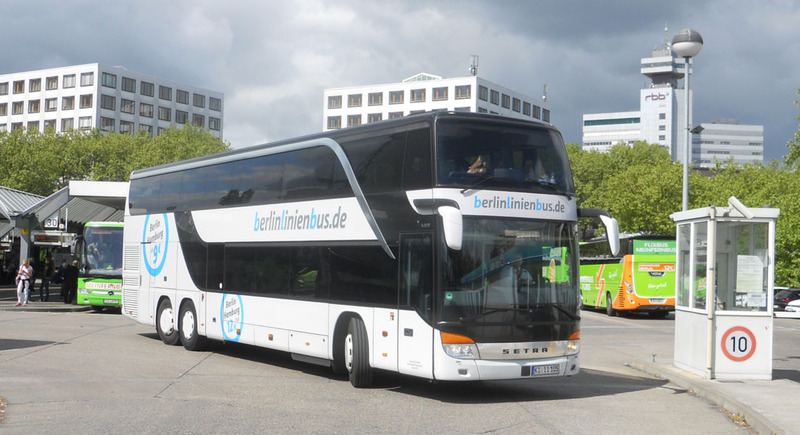 A Berlinlinienbus Setra leaving for Hamburg. 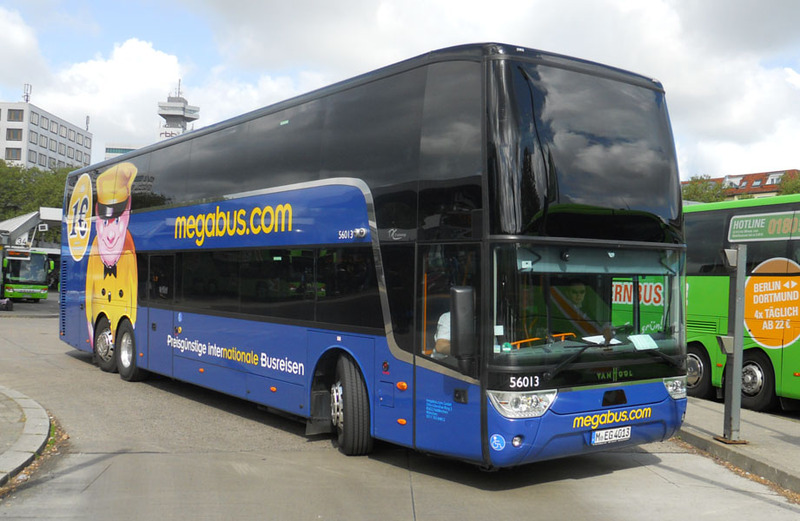 Megabus started operating internal German services in 2015. 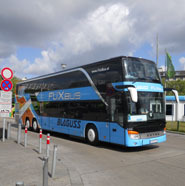 This a standard Van Hool decker heading for Koln. 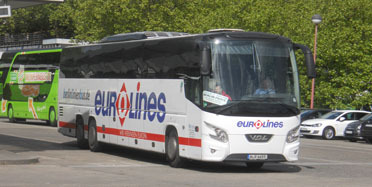 Student Bus operate a network of service from the Czech Republic throughout Europe (including the UK). 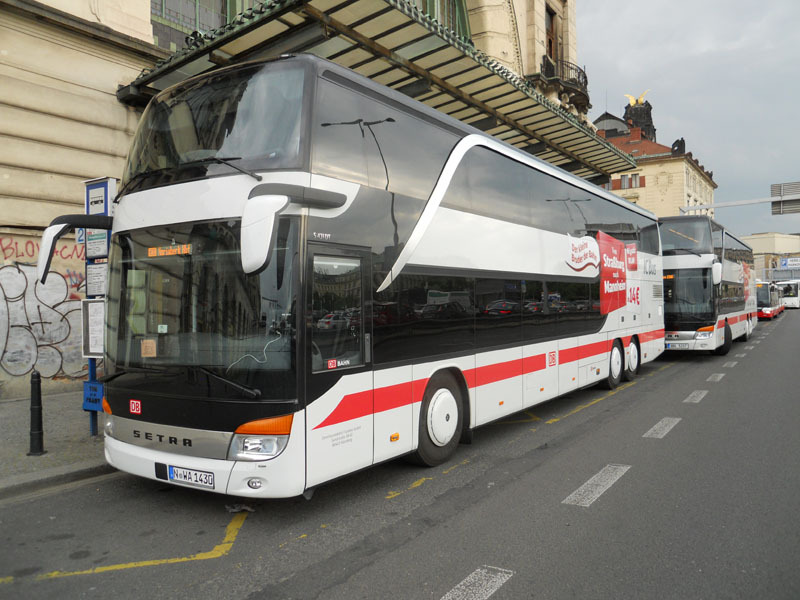 A tri-axle Irizar is seen on service to the Czech capital Prague. There are routes from Berlin ZOB to more exotic locations such as Copenhagen and in this case Serbia. This vehicle started its journey in Preševo in South Eastern Serbia and was en route to Dresden. 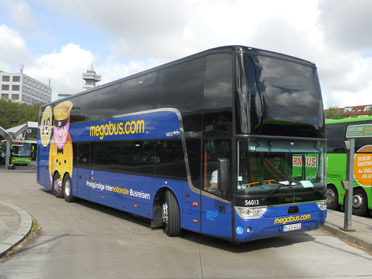 Polski Bus, the high-profile low-cost operation established by Brian Souter of Stagecoach fame runs an express network centred on Poland. 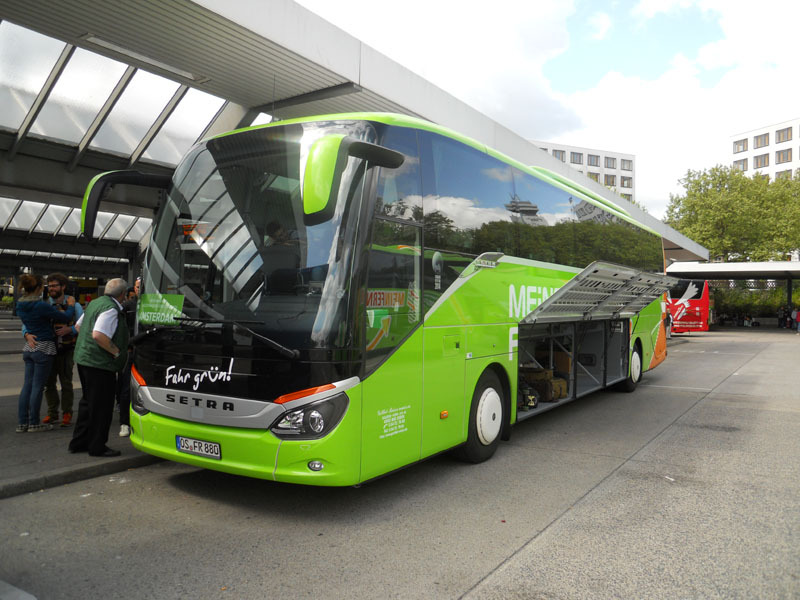 A few international services are operated such as this one from Szczecin using a standard Van Hool. Not to be outdone, DB railways have setup an express operation that complements their train network. 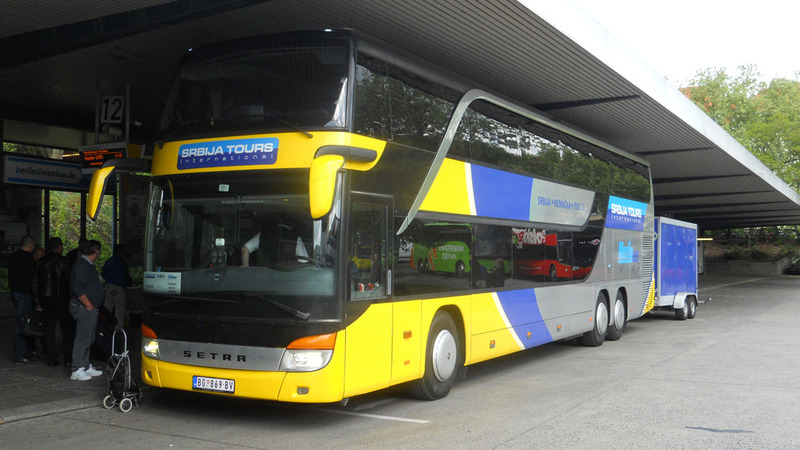 Setra double deckers are standard such as this one seen in Prague on a service to Norimberk. 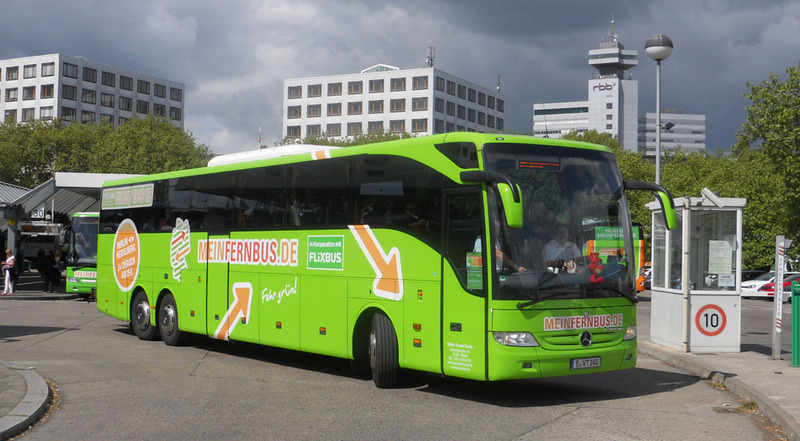 Meinfernbus merged with Flixbus in 2015 and retained some vehicles in Flixbus blue livery. 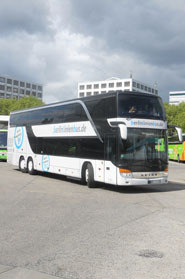 One such vehicle, a Setra double decker is seen leaving Berlin on the marathon 650km service to Vienna. And throughout all the turmoil Eurolines, the incumbent operator of express services in Europe, still provide cross border services. 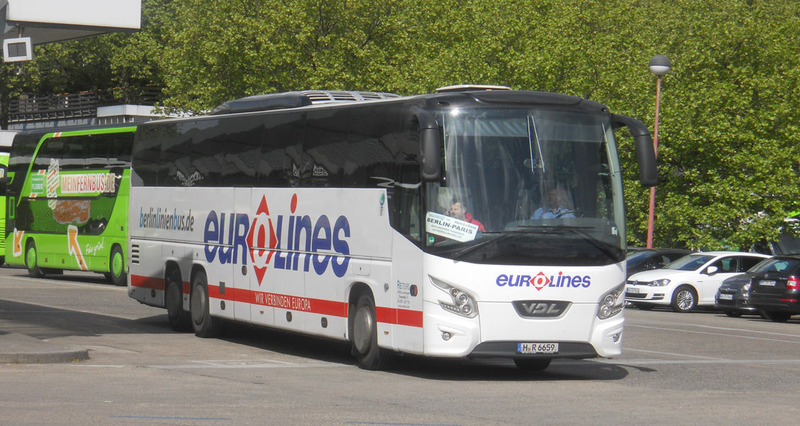 A VDL/Bova is seen leaving for Paris on the bum-numbing 1000km service. 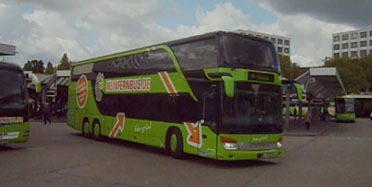 A Meinfernbus MAN Lions Coach, one of at least 14 such vehicles owned by Schroder. 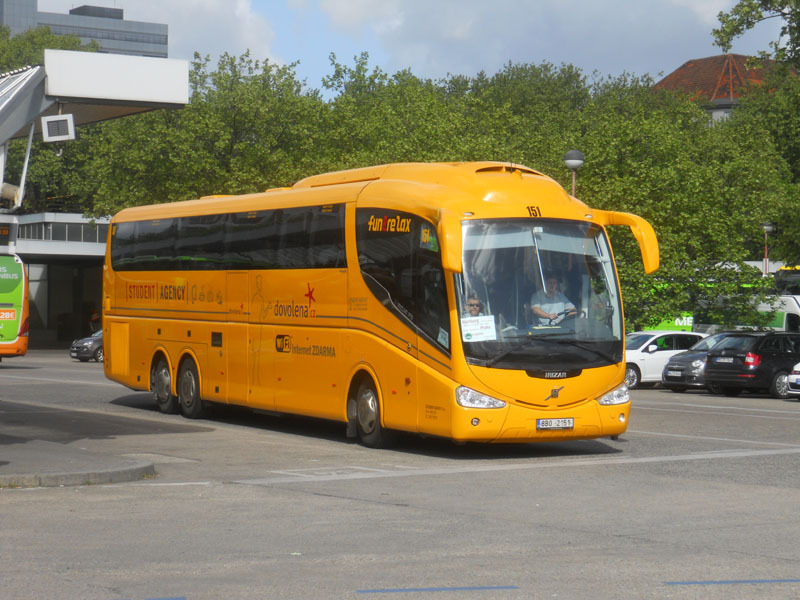 A Setra of Gottlieb Reisen about to depart on a Meinfernbus service to Amsterdam. 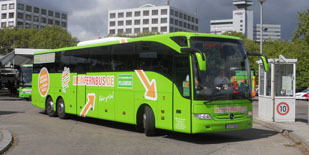 A Mercedes of Busservice Wörlitz Tourist on a Meinfernbus service. All photos taken in May 2015. Click to enlarge or play clips.